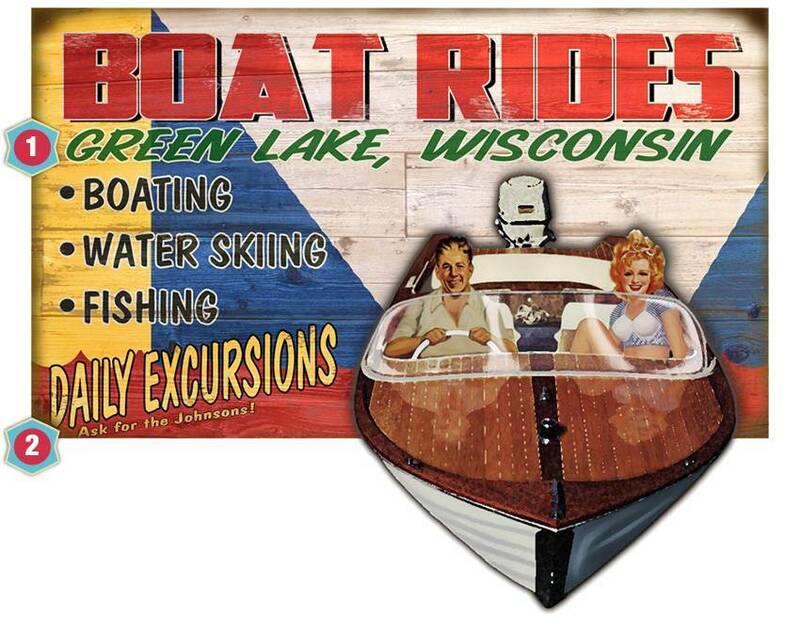 The perfect sign for those who love showing off their lake to guests. 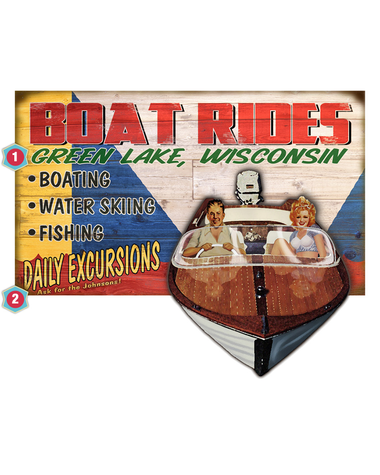 This colorful, rustic wooden Boat Rides Sign comes in two sizes and can be personalized for your lake.Enter your personalization as you would like it to appear using capital and lowercase letters, numbers, punctuation marks and characters. Do not type using all capital letters or all lowercase letters unless this is how you want the item to appear. And please review your personalization carefully, as your gift will arrive printed with the text exactly as entered. Love, love, love! Hanging in our new lakehouse and my husband's only complaint is I put my name first!